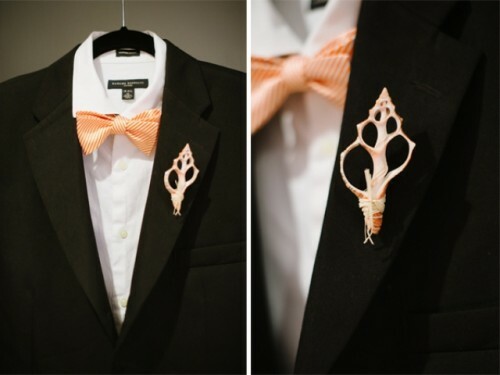 If you want to make something for your groom, something special for him, make a small cool piece like a boutonniere. This one will be a sea-themed piece, that’s cool for sea-themed wedding or a coastal wedding. 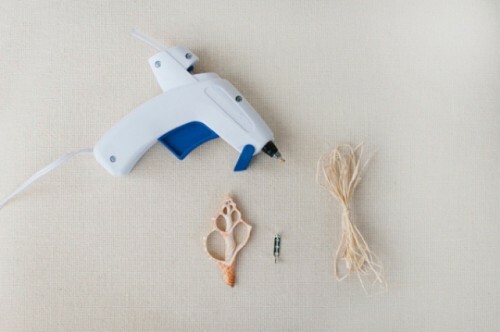 The supplies are a hot glue gun, raffia, a shell, a pin back. Glue the pin back to the shell. 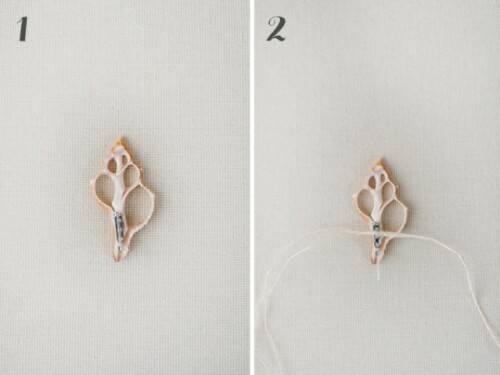 Pull a few strands of raffia through the pin back and glue in place. 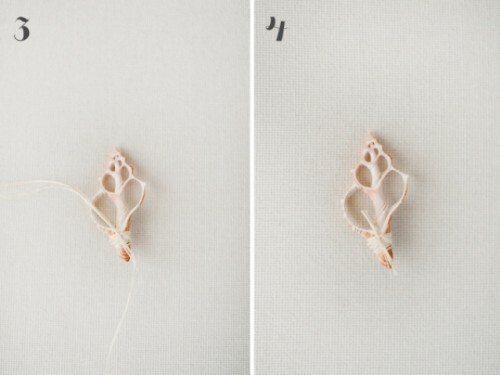 Wrap the raffia around the base several times and tie the ends in a knot. 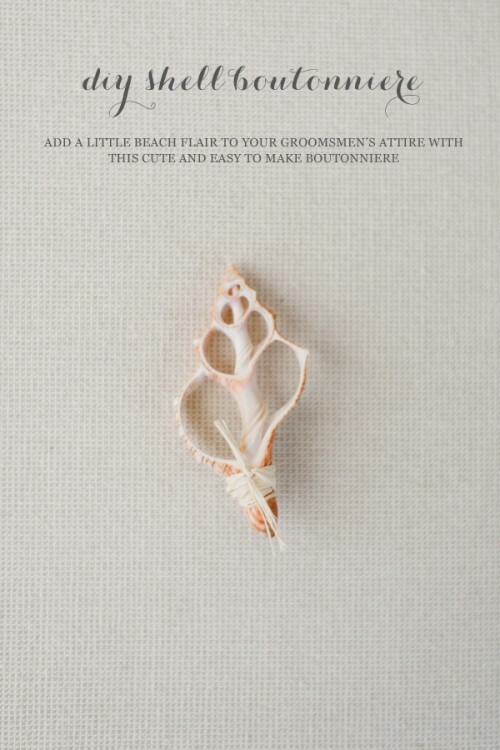 Give the boutonniere to your future husband and enjoy his excitement!